Remember the 9-Patch Puzzle Quilt? 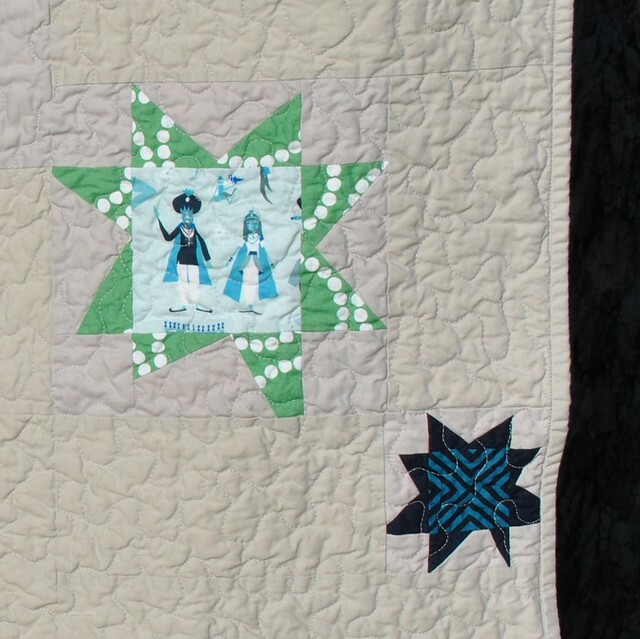 As I mentioned, that quilt was for the daughter of one of my closest friends. 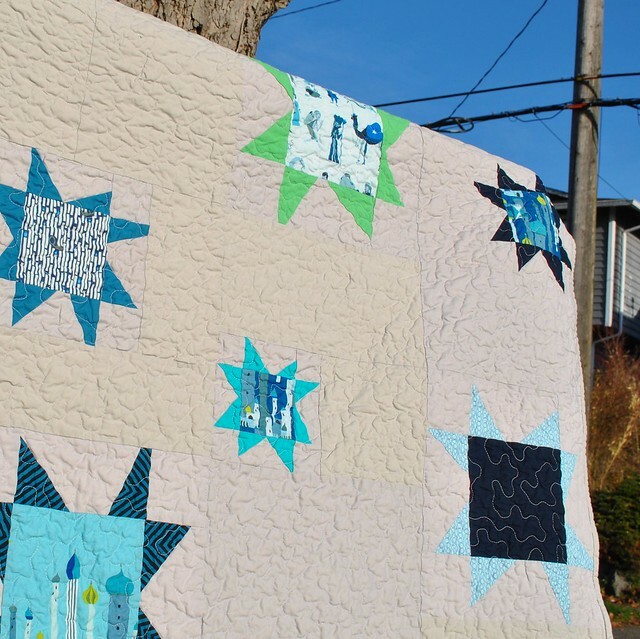 The Starry Night Quilt is what I came up with for her son. I loved Lizzy House's first line, Castle Peeps. I didn't think anything would top those adorable characters, and then along came 1,001 Peeps! I bought a fat quarter set of each colorway, plus some extra yardage. 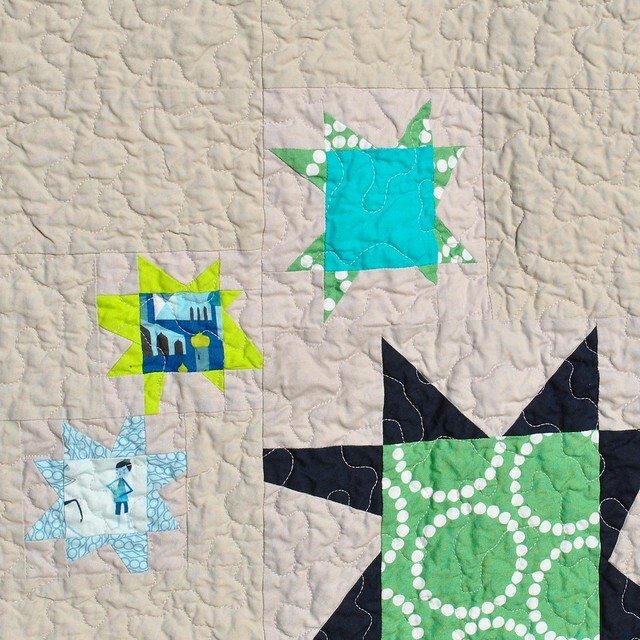 I decided that the blue colorway was the perfect amount of whimsical and boy for this quilt. I wish I could have gotten some good pictures at night, but alas, my photography skills are not up to that challenge! I quilted this piece with meandering, in a grey thread to match the background. For the backing I found a great dot print at JoAnn's. It was one of their better quality fabrics, and it washed up great! I also recently started binding more of my quilted by machine. I still prefer the look of hand binding, but my left thumb has really been bothering me. Hand work tends to aggravate it, so I have been doing more by machine. Starry Night finished up at about 60" x 80", perfect for laying on the couch or for use on a twin bed! 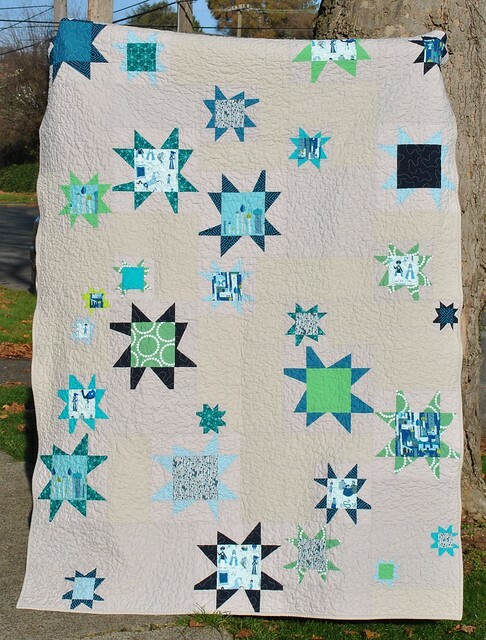 I was really worried about whether this quilt was boy enough and age-appropriate. Boys tend to grow out of the "cute" phase much earlier than girls so I tried to stay away from cute. 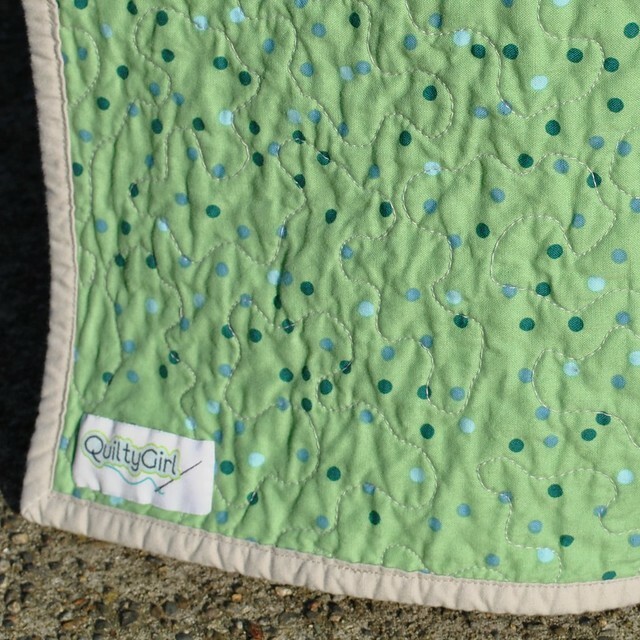 I was beyond excited when my friend told me that her son loves the quilt, and even declared that he would "never use another blanket again"! That one statement made my entire holiday. I'm linking up to Fabric Tuesday! Hop over to see more great projects!